Click here to view the most recently updated agenda. Registration is currently open by invitation only. 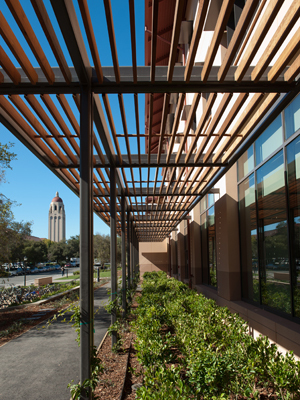 The invitation-only program is hosted on campus at the Knight Management Center at Stanford University in Palo Alto, CA. WICT and Stanford are pleased to share the all-new curriculum for the 2019 Summit, which will fully immerse participants in innovative strategies and case studies that reinforce business acumen and workplace power and influence. We have collaborated with Stanford’s faculty to develop an agenda that takes leadership and excellence to the next level by presenting diverse and dynamic perspectives by both GSB faculty and business icons. We invite you to scroll through the abbreviated agenda below to review the sessions and meet the many top executives, academics, entrepreneurs and researchers we will convene March 10-14 in Palo Alto. This session will explore the tectonic shifts that threaten to disrupt the ways in which large and successful companies organize and develop products brought about by the combination of physical and digital solutions. We will analyze the challenges presented by this digital evolution, and provide frameworks that will examine organizational design and go-to-market strategies in this new world order. We will also take an in-depth look at the competencies required of leaders who must combine the attributes of both physical and digital-native organizations. Historically, a small subset of organizations (governments, corporations, religious and educational institutions) have helped society understand and determine what are facts and truth. The rise of the internet, new technologies, and communication tools have reshaped the way we consume and learn new information – for better and for worse. The Wikimedia Foundation oversees a global network of people and groups that help share information for public consumption. The challenges of overseeing this loose affiliation of global teams is explored in this fascinating case discussion. Partnerships are an essential part of organizational growth and revitalization. This session builds on the lessons learned by corporations that have experienced both productive and unproductive partnerships, and includes a parallel analysis of an early stage company and an established company with regards to on-line consumer purchasing information. 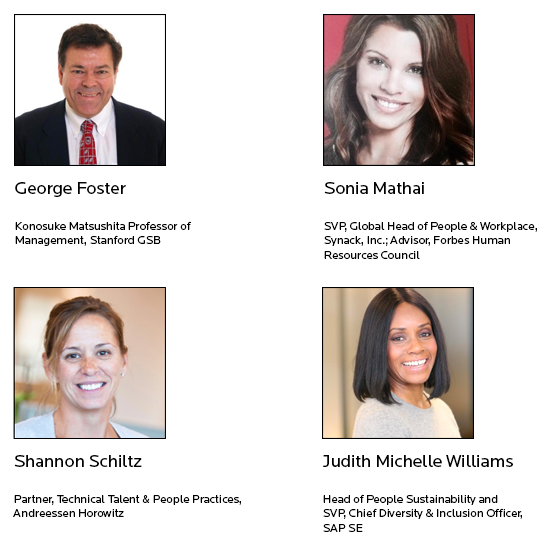 During this session, accomplished HR specialists will reflect on the challenges employers face when evaluating, attracting, and retaining talent. What are the goals of a startup? How are factors like revenue growth, profitability, fundraising and competition analyzed through the lens of a burgeoning company? As disruptors, they must remain agile to keep pace with, and outsmart, competitors. Do their business models change over time and how are they shaped by their roles as disruptors? In this session, we will explore how data and information is changing a wide variety of industries. In addition, we will look in depth at 23andMe, a leader in genetic sequence analysis, which utilizes a unique and nontraditional business model based upon the collection and analysis of data. Leadership performance is an art. Combining performance techniques from the craft of storytelling, supported by research from the field of social psychology, these sessions provide insight into how your physical and vocal storytelling range affects your impact. In these highly interactive sessions, you will explore frameworks to develop and deliver stories that support your professional goals. You will hone techniques of powerful storytelling, and rehearse your delivery, to more effectively influence others. Building a strategy for a new venture includes an assessment of the competitive space – both existing and potentially emerging. This session provides a framework for navigating a new business endeavor, including a case analysis of a successful wedding registry venture that succeeded despite many who viewed the business as having limited scaling potential or sustained progress. In today’s competitive marketplace, companies — from Fortune 500 firms to early stage start-ups — rely on intellectual property (IP) to keep them one step ahead of the game. Through analysis of current events and class discussion, we will cover a variety of issues shaping a successful IP strategy in today’s global business environment. We will also explore the strategic objectives for IP management throughout the corporate lifecycle, as well as identify the opportunities for IP monetization and commercialization in new product/technology markets. Mariam Naficy (Minted CEO) and Melissa Kim (Minted COO) have grown the company to become a leader in the online printed cards, independent design and art market segments. As the business has continued to scale they wrestle with simultaneously growing their existing business while also looking at expanding into new markets, all the while keeping their existing customer base engaged. The case highlights the difficult decisions management faces in deciding where to pursue growth opportunities when choices might be overly abundant while also focusing on the importance of profitability. As CEO of several successful companies in the 1990s, Julie Wainwright was a star executive in the technology industry. At the height of the first internet wave she became the CEO of Pets.com, which ultimately became the poster child for Silicon Valley excess and hubris during what is referred to as “The Internet Bubble.” Unwilling to allow herself to be defined by this experience, Wainwright started TheRealReal, a startup in the online fashion retail industry that has changed the way consumers purchase luxury goods. This session will reveal the tenacity and perseverance Julie required to simultaneously overcome market and personal challenges on the path to building her next great company. In this session, we will review the characteristic features of platforms, and discuss both the ways in which these features have propelled platforms to prominence in recent years, and the ways that platforms maintain their market power. Professor Athey will share her research on the role of digital intermediaries on news, as well as her expertise in working with a variety of news publishers. Successful leaders have to conceive, author, rebuild, pivot, differentiate, and finally maintain a personal reputation to make a lasting, recognizable and powerful identity. This critical session will explore how you can effectively communicate to create, adapt and maintain your personal reputation. The program will conclude at 12:40 pm; boxed lunches to go will be provided. Susan Athey is The Economics of Technology Professor at Stanford GSB, as well as Professor of Economics, School of Humanities and Sciences, and Senior Fellow, Stanford Institute for Economic Policy Research. Her current research focuses on the design of auction-based marketplaces and the economics of the internet, primarily on online advertising and the economics of the news media. She has also studied dynamic mechanisms and games with incomplete information, comparative statics under uncertainty, and econometric methods for analyzing auction models. Melissa Castenschiold Jones Briggs is a Lecturer in Organizational Behavior who combines performance technique with social science research to provide actionable insight into how one’s behaviors and nonverbal cues affect everyday personal and business interactions. She teaches students how to examine their relationship to power, authority and status and broaden their authentic behavioral range to show up more effectively across diverse contexts, and to transition with agility between roles. George Foster is The Konosuke Matsushita Professor of Management. His research and teaching includes entrepreneurship/early-stage companies; financial analysis, especially in commercial disputes; and sports business management. His recent research includes asset creation and destruction, global entrepreneurship, and the role of financial and other systems in the growth and valuation of companies. He also is researching globalization challenges facing both sporting organizations and companies. Efrat Kasznik, Lecturer in Accounting, is an intellectual property (IP) and valuation expert, with close to 20 years of consulting experience, focusing on assisting clients with the creation, commercialization and monetization of their intangible assets and technologies. She specializes in analyzing and valuing IP portfolios for a range of purposes, including: mergers & acquisitions, financial reporting, technology commercialization decisions, tax compliance, transfer pricing, litigation damages and business liquidations. Robert Siegel, Lecturer in Management, researches strategy and innovation in both large and small companies, as well as the opportunities and challenges that technological change brings to these firms. Additionally, he teaches product management and product development best practices and methods, as well as entrepreneurial finance over the life-cycle of growing companies. Harpinder Singh is a General Partner at Innovation Endeavors which invests in transformational technology out of offices in Palo Alto, New York and Tel Aviv. He has spent nearly two decades as an entrepreneur building products in mobile, data and deep tech. View the 2019 SES Agenda. ​Registration for the program is by invitation only. If you are interested in attending, please contact Joanna Dees (jdees@wict.org). Candidate is among the highest ranking women within her company. Candidate has at least 15 years of executive management experience. Candidate is Executive Vice President to C-suite title, or equivalency thereof. *Included: all course materials, meals and sleeping accommodations at the Schwab Graduate Center on campus in Palo Alto. The non-member rate includes a one-year Executive Level membership for those who qualify.